What’s A Good Barbecue Sauce Substitute? Barbecue sauce is a great complement to most styles of barbecue and is an essential element in some of them. You can use it as a marinade, to baste your barbecue or as a condiment. In some cases, it can be used for all three purposes. If you barbecue regularly and enjoy the sticky and sweet style of grilled or smoked meat, it makes sense to keep some pre-made sauce on hand. If you run out or want an alternative to bottled options, consider one of our BBQ sauce substitutes below. Making your own barbecue sauce is not that complicated. Most barbecue sauce consists of a tomato base along with sugar, spices, and an acid. That is all you really need. Of course, there is room for you to be creative within that basic formula. Your tomato base can consist of ketchup or you can use tomato paste or tomato sauce. Your sweetness can come from honey, brown sugar, or molasses. other aspects of the flavor can come in the form of the same dried spices that you use in your rub. 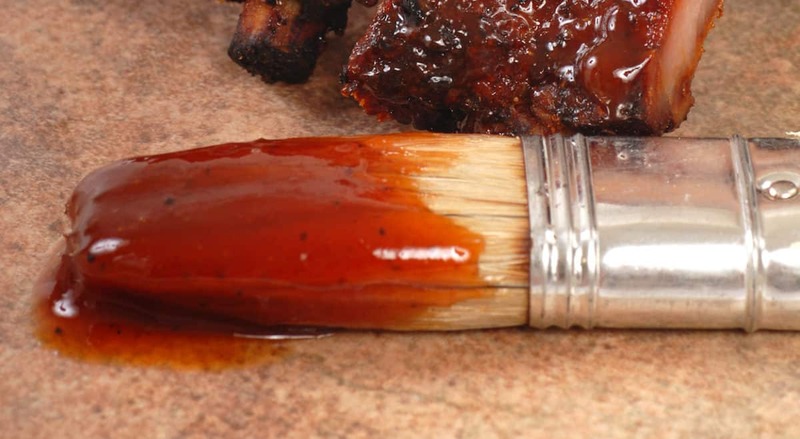 Some cooks simply toss leftover rub into their barbecue sauce mixes. Liquid smoke and Worcestershire sauce are two more popular ingredients. While tomato is the most popular option, it is not the only one. Mustard-based barbecue sauces are popular in some parts of the US. A good trick for a flavorful barbecue sauce is to place it in a pot on the grill along with the meat so that it can acquire some of the smoke flavor. Hoisin sauce is a popular glaze for meat in Chinese dishes and is used in Vietnamese cooking to a lesser extent. It shares much of the flavor profile of traditional barbecue sauce, despite containing a very different slate of ingredients. You can get hoisin sauce at virtually any Asian market and in many grocery stores, or you can make your own. Hoisin sauce recipes typically contain soy sauce, honey, and vinegar along with chilies and sesame paste. Use hoisin sauce as a 1:1 replacement for traditional barbecue sauce on any dish that requires barbecue sauce. Plum sauce is another Asian favorite that makes a good alternative to a traditional barbecue sauce. Its ingredients include plums and other fruits along with vinegar and ginger. It is traditionally used as a condiment to be served with fried dishes like spring rolls and won-tons. It can also be used as a flavoring for duck. It has a sweet and sour flavor profile with fruity notes, all of which combine to make it a good stand-in for barbecue sauce. If the flavor is too mild for your liking, you can add your own preferred spices to it. Use plum sauce as a 1:1 substitute barbecue sauce. Root beer is a great addition to a homemade barbecue sauce recipe or you can simply baste your meat with it in place of a sauce. It can provide the sweetness that you want from a barbecue sauce as well a complex flavor similar to the taste of sassafras, which was the original root beer flavoring. To make the texture an even closer match to that of traditional barbecue sauce, reduce it in a saucepan by about 50-60 percent before applying it to your meat. White sauce is a popular addition to barbecue in Alabama. It contains many of the same ingredients as a traditional barbecue sauce but instead of a tomato base, a mayonnaise base is used.